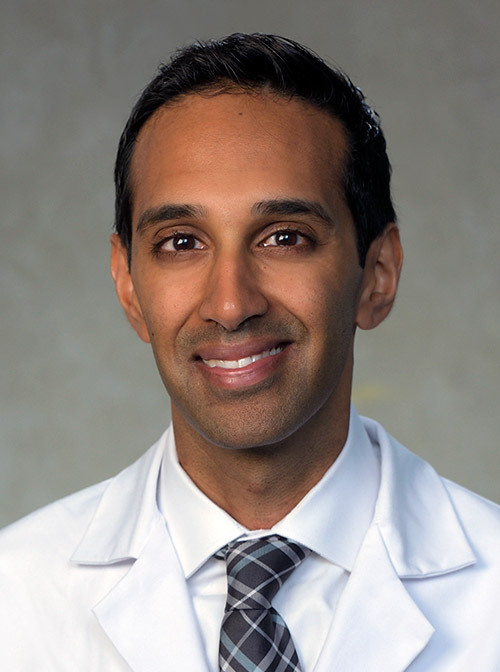 Srinath Adusumalli, MD, MSc, FACC has joined Penn Heart and Vascular in the Division of Cardiovascular Medicine, where he is Assistant Program Director for the Cardiovascular Disease Fellowship Program. Dr. Adusumalli also serves as a Clinical Innovation Manager at the Center for Health Care Innovation at Penn Medicine. A graduate of Virginia Commonwealth University, Dr. Adusumalli completed his internship and residency at Massachusetts General Hospital in Boston. He then completed a cardiovascular disease fellowship at the Hospital of the University of Pennsylvania while earning a master's degree in health policy from the University of Pennsylvania with a focus on health care improvement, patient safety, and clinical informatics. Dr. Adusumalli is board certified in internal medicine and cardiology. He sees patients at the Penn Heart and Vascular Center at the Perelman Center for Advanced Medicine and Penn Heart and Vascular Testing.